The Yarra Valley region is one of Australia’s premier wine growing areas and features a range of iconic and famous boutique wineries to suit any taste. It is widely recognised for its world-class, cool weather surrounded by glorious panoramic views of the great Dandenong Ranges. Image Limousines offers a personalised public and private winery tour through the Yarra Valley where you will be accommodated by our friendly staff who are knowledgeable about the area, including wineries, restaurants and other attractions. With their assistance, you will be able to experience Yarra Valley in a unique way on a tour arranged to best suit your needs. You will have a taste of the best food and wine of the Yarra Valley with our winery tour in a stretch limousine. Melbourne is truly blessed to have some of the finest and friendliest winery regions situated so close by. These can be found in the magnificent and picturesque Yarra Valley, Mornington Peninsula and also Bellarine Peninsula regions. All these you may experience when you hire a limousine from us for a limousine wine tour. However, realistically, you can only enjoy one area per day at the most. Our professional team from Image Limousines is prepared to give you an itinerary that you can adjust depending on your particular requests and we will endeavor to accommodate you the best possible way we can. Whether you are coming alone, in a small group or a larger party, we can organize tours for any size group and can even entertain corporate groups who want to take clients or business associates to see the beauty of Yarra Valley. What a great way to open a negotiation. Image Limousines have a direct contact with the wineries based at Yarra Valley so you don’t have to worry how to get there and what you need to do. You can save time by trusting us to do the planning work for you. All you have to do is to relax and enjoy; let us do the honours of making you feel at home and free from stress. We also do pickups at various Yarra Valley hotels and guest houses or from accommodation in Melbourne. Our limousine winery tour packages offer a wide selection of cars to choose from. We can accommodate up to 10 people in a limousine, so your friends and family can have a fun day out to remember. Experience wine tastings and an assortment of handmade cheeses like never before! You may also purchase some to bring home or to give away for friends who never made it to the tour. It’s good to have a little remembrance from your trip. The Yarra Valley is a great place to visit any time of year, no matter what season because it simply has an amazing canvas of colour year round. It’s natural beauty is truly picturesque and so close to Melbourne. There is also hiking and wildlife sanctuaries you could visit. Like many gourmet wine regions, the Yarra Valley has its fair share of day spas on offer, so pampering yourself is always an option. This is a common choice on hens party tours for example. There are so many choices, maybe ride even a hot air balloon ride to get a full view of the valley. 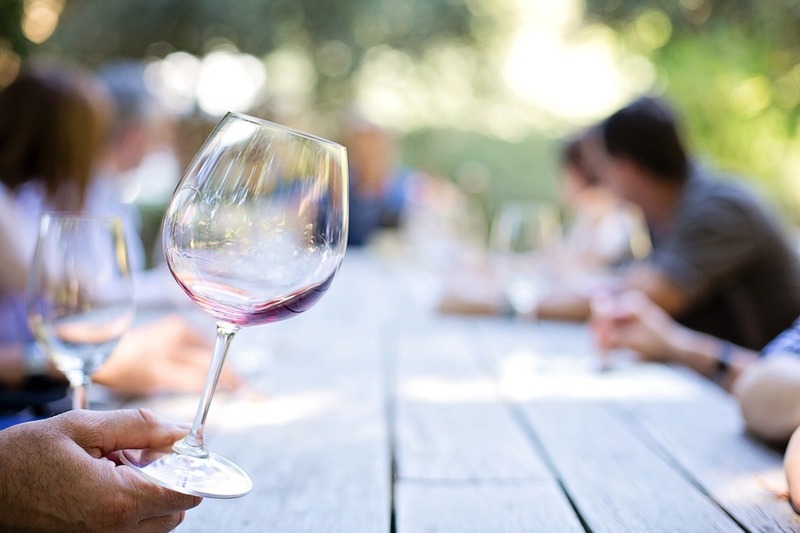 Educational tours that teach about wine tasting technique, sniff, swirl and slurp of various wines ranging from sparkling red, white and sweet wine. Winery tours generally take about five to eight hours, just enough for you to visit around three to four wineries and are inclusive of lunch. But the options are always up to you, our client. Along with this, our staff will make sure to coordinate your wine tasting schedule and make all your local tasting appointments. We will also be discussing your dining options and coordinate then into your schedule by making sure there are no conflicts. Lastly, we will share tips on how you could make your tasting experience a satisfying one. You may also bring with you, your own beverage and finger food to munch on while travelling. We also give our clients the option to tell us where to go or we can simply provide an itinerary for you so you don’t have to think or worry about making choices. Our professional drivers have the best experience when it comes to limo wine tours and they know the route very well. With Image Limousines driver, you can be confident that they will be as discreet or entertaining as you like and provide superior service like no other. So why not go ahead and book your limo winery tour with us. We would love to show you around an area we are so proud to show visitors to Melbourne and locals alike.